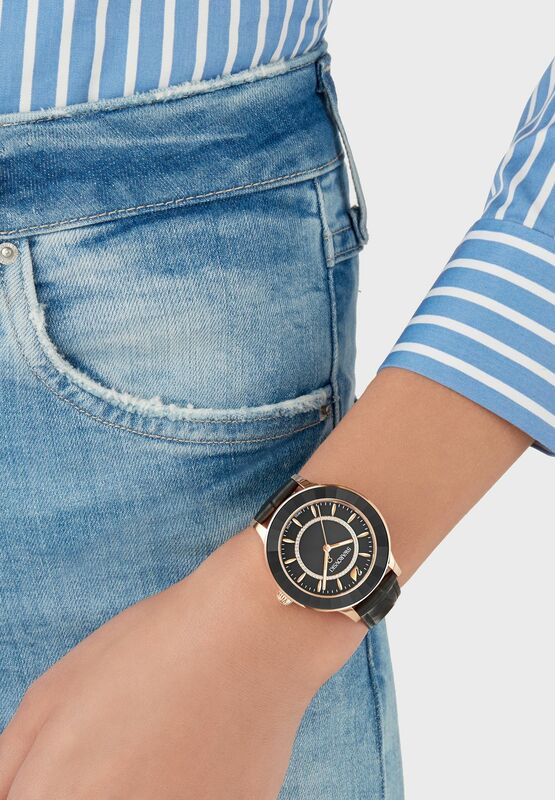 This Octea Lux watch exudes sophistication with its on-trend black and rose gold color combination. 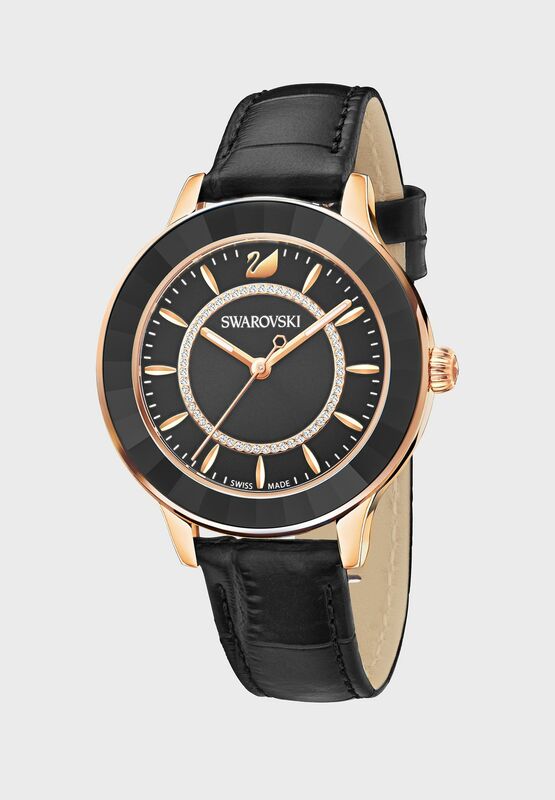 Sleek and contemporary, it showcases flowing curves and the iconic Octea crystal bezel in timeless black. The rose gold-tone stainless steel case beautifully highlights the black sunray dial with applied rose gold-tone coated index markers and the black genuine leather strap with embossed crocodile structure.